Start your journey with a free Skin Consultation and Diagnosis. Please arrive with a clean, make up free face. We will only recommend treatments after this assessment. BOTOX® Cosmetic* targets one of the underlying causes of frown lines and crow’s feet—the repeated muscle contractions from frowning and squinting over the years. Your specialist will inject these muscles with BOTOX® Cosmetic to temporarily reduce muscle activity. You will begin to notice a visible smoothing of your crow’s feet lines and frown lines between your brows. 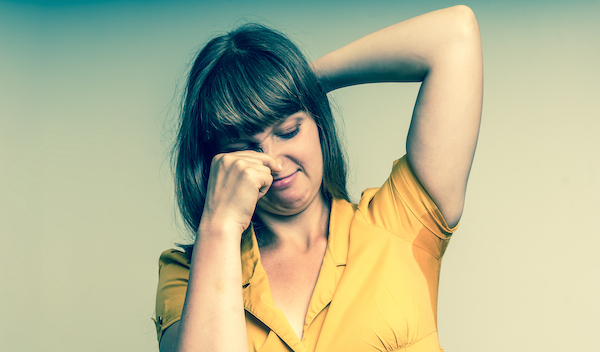 Botox® is also a solution for excessive sweating or Hyperhidrosis. This is is any abnormal sweating, such as sweating when it's not hot and it can be a very real problem. And introducing wrinkle relaxant, Dysport** to Rotorua. This temporarily improves the look of your moderate to severe facial lines in a way that suits you. Price on application and following your free consultation. Juvederm*** and contour cheeks, smooth lines and folds, plump lips and smooth vertical lip lines. Our Aspect gold facials all come with a Customised Infusion Mask, an infusible plant based gel mask with extracts of Soy infused with serum concentrate/s as required for the condition being treated. An advanced transdermal delivery vehicle specifically engineered to rapidly transport actives into the skin. Purifying Concentrate: Clinically proven to help mattify skin and diminish the appearance of blemishes. A deeply hydrating, antioxidant facial treatment for all skin types in need of a little TLC. An ideal skin conditioning treatment suitable for dehydrated and sensitive skin or skin needing intense hydration. A deep cleansing detoxifying facial treatment for impure, oily, clogged and congested skin types. Includes steam, extraction and a luxurious massage leaving you cleansed, relaxed and pampered. To address skin concerns ranging from rough, dull lifeless skin to sun damage, ageing, hyperpigmentation, congestion, and oily problem skin. Used in conjunction with a prescribed homecare regime, peels are extremely effective performed as a course of treatments. Aspect Dr™ Clinical Skin Peels are clinical-strength, results-orientated corrective treatments and far superior to any ordinary facial in terms of truly visible results and long term durability. Your therapist will tailor your peel to suit your individual needs. 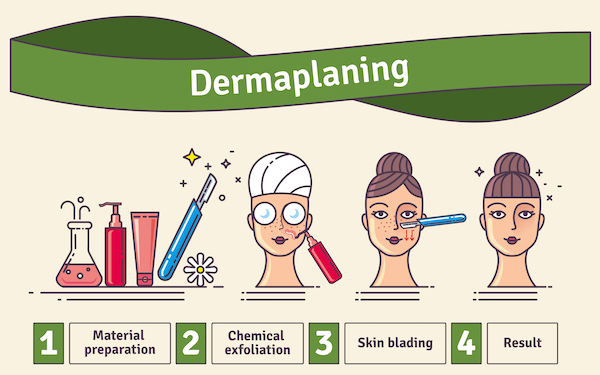 The Lactobotanical Peel series is exclusively available to medically affiliated practices. Powerful, yet gentle, so suitable for even the most sensitive skins and guarantee exceptional results every time. This combines the powerful skin renewal and clarifying action of clinical strength alpha and beta hydroxyl acids to lift away the accumulated layers of dull, discoloured cells. And the remarkable skin whitening action of optically pure Vitamin C and Tyrostat™, an organic herbal compound aka Rumex Occidentalis from the North Canadian prairies. Truly remarkable and unique breakthrough clinical treatments that rapidly clear away the appearance of unsightly marks to visibly restore clarity to your complexion so that it appears to glow from within. Clinically proven, retinoid-mimicking algae Lana Blue, milk derived L-Lactic Acid, and botanical calmatives working tandem to deliver the most spectacular anti-ageing and skin refining results in record time. Fine lines, wrinkles, dull, rough and lacklustre skin texture, visible pores, minor discolorations and muddy complexions or time damaged skins will all surrender to this powerful rehab program. Rejuvenate and clear tough-to-reach areas, targeting a variety of skin care needs such as clogged pores, back acne, and dehydrated skin. Option to add on Dermal Peel. 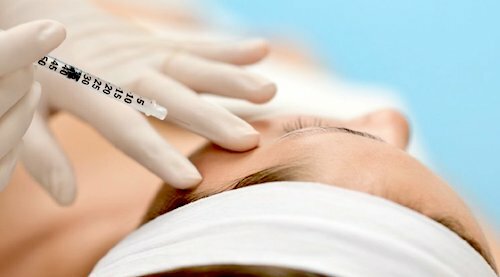 Semi-Permanent Cosmetics or Cosmetic Tattooing, is a cutting edge aesthetic treatment for men and women which employs the latest techniques and technology to achieve lasting colour and definition. Cosmetic Tattooing is a process of pigment implantation which produces flawless eyebrows that will last between 1 and 3 years. We do not use stencils. 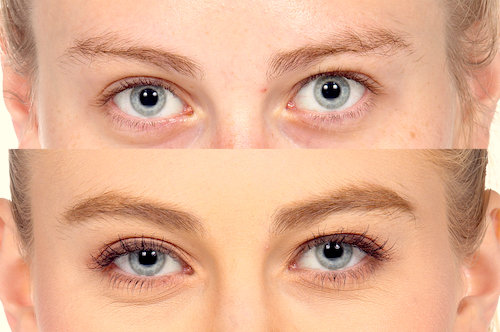 Our technicians are highly skilled at mapping your face to create eyebrows that will suit your facial features. The highest quality hypo allergic make up pigments used are mixed and colour created for you personally, chosen to complement your skin tone and match the natural or desired brow colour. Each 'hair' is gently etched into the skin, giving an incredibly natural and realistic look.Can dramatically correct or fully reconstruct lost eyebrows and is excellent for those wanting to enhance their brows or who have little to no eyebrows, thinning brows from age or over tweezed brows. Soft and subtle, ideal for creating more definition and deeper colour. Soft powder or an eyebrow pencilled look, adding shape and depth to thinning, sparse or full eyebrows. All Collagen Induction treatments come with complementary Sonophoresis treatment, to deeply penetrate hydrating serums into the skin and reduce redness after induction. Remove dead skin with a Microdermabrasion, then rejuvenate cells with LED and finally we use Sonophoresis to ensure penetration of active serums by up to 200-400%. As well as a good amount of pampering to leave you feeling relaxed and refreshed. Eye Rolling maximizes the result of growth factors, botanical stem cell extracts, and bio-peptides to improve dark circle, eye bag puffiness, and wrinkles. This maximizes the absorption of active ingredients into the skin. Treatment includes take home kit. IPL is a safe and effective way of permanently removing unwanted hair. 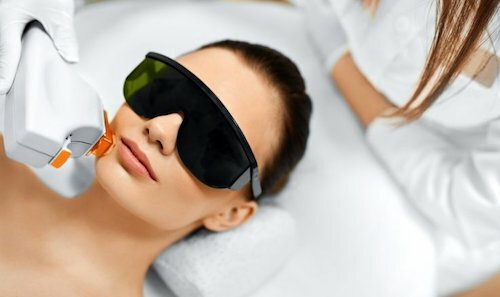 IPL is also used for skin treatments to treat your skin for fine lines, removing pigmentation, age and sun spots, spider veins, reducing rosacea & acne. As well as dermatologic diseases. * Botox® is a Prescription Medicine containing 100 units of botulinum toxin type A for injection. It is used for the treatment of frown lines, forehead lines and crow’s feet. It should be administered only by trained medical professionals. Talk to your specialist about the benefits/risks of this procedure in appearance medicine. Cautions: People with defective neuro-muscular transmission disorders, infection at site of injection, glaucoma, pregnancy and lactation. Possible side effects include headaches, pain, burning/stinging, bruising, swelling or redness at the injection site, local muscle weakness including drooping eyelids/eyebrows, swollen eyelids, skin tightness, tingling sensations, itchiness, nausea and flu like symptoms. If you have any side effects or concerns speak to your doctor. You will need to pay for this medicine. Normal Doctors visit fees apply. Note: BOTOX® treatment lasts about four months and after this time further courses of treatment may be necessary. Speak to your specialist about your own situation. ** Dysport® is a prescription medicine containing Clostridium Botulinum Type A toxin complex for injection. It is used for the treatment of frown lines and excessive sweating. It should be administered only by trained medical professionals. Cautions: people with defective neuro-muscular transmission disorders, infection at site of injection, pregnancy and lactation. Possible side effects include headaches, pain, burning or redness at injection site, local muscle weakness including drooping eye lids, lack of feeling or nausea, or compensatory sweating in other skin areas. Talk to your specialist about the benefits/risks of this procedure. A charge applies. Dysport® treatment lasts about four months and after this time further courses of treatment may be necessary. Speak to your specialist about your own situation. ***JUVÉDERM VOLUMA® XC injectable gel is for deep injection in the cheek area to correct age-related volume loss in adults over 21. JUVÉDERM VOLLURE™ XC injectable gel is for injection into the facial tissue for the correction of moderate to severe facial wrinkles and folds (such as nasolabial folds) in adults over 21. JUVÉDERM® XC injectable gel is for injection into the facial tissue for the correction of moderate to severe facial wrinkles and folds (such as nasolabial folds). JUVÉDERM® Ultra XC is for injection into the lips and perioral area for lip augmentation in adults over the age of 21.